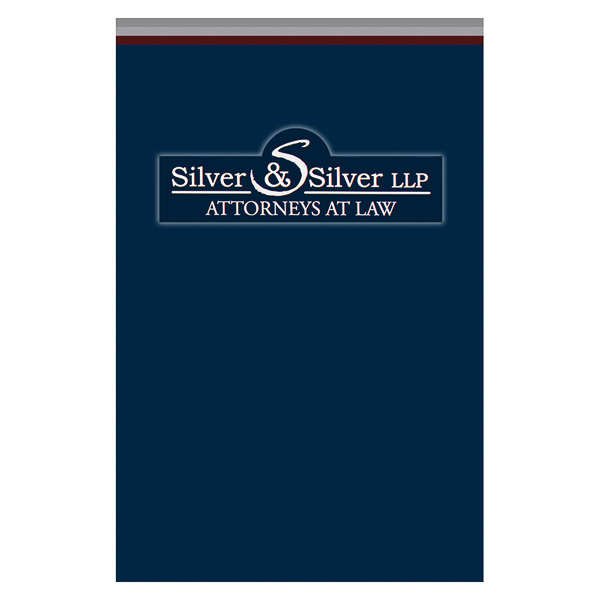 A large white logo on a navy cover gives the attorneys at Silver & Silver LLP a commanding presence. The slight white "glow" around the logo adds a 3D effect, while its two different fonts indicate the company is both elegant and reliable. The left inner pocket describes the firm's history, while the right info flap puts faces and names together with photos of the attorneys. Contact information is easily accessible at the bottom center of the back cover. Four-color process printed on both sides of 14pt C2S White Semi-Gloss stock. Coated with Aqueous Gloss. H4 business card slits on right pocket. 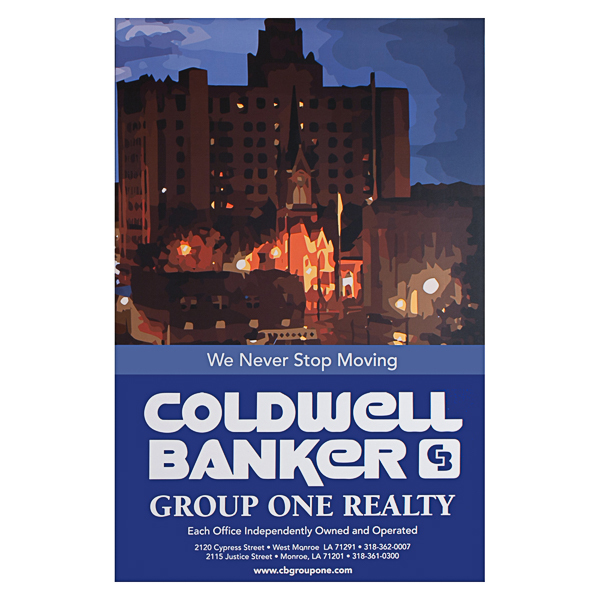 A watercolor illustration creates a soft, mysterious effect on this design for Coldwell Banker Group One Realty. Dark blue tones are reminiscent of nighttime, yet also bear associations with security and trust. The interior is a collage of ads for services homebuyers might need—such as inspectors, renovators, and lenders. Below the continued watercolor on back, a map shows which 17 Louisiana parishes the agency serves. Introduce your brand with this product's right info flap. It's the perfect size for a brief history, product list, or note to your customers. You can even print custom imagery on the outside of the flap to match the cover design or lead to the information inside. Two v-split pockets contain 8 1/2" x 14" legal documents. The right pocket is unglued on both sides, offering more flexibility and easier access to its contents. The left pocket is glued on the outer edge for extra security. Dimension Open: 14-1/2" x 23-11/16"